Elevate Communication needed a digital presence with just the right mix of corporate and quirky. 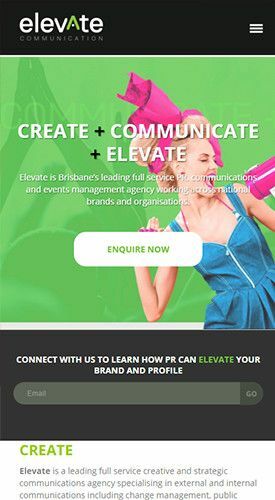 Being a creative and strategic communications agency Elevate needed their website to communicate their key services and unique selling points over their competitors clearly and effectively. Their website also had to showcase their impressive portfolio of clients and serve as a lead generation tool. We delivered just that and more. 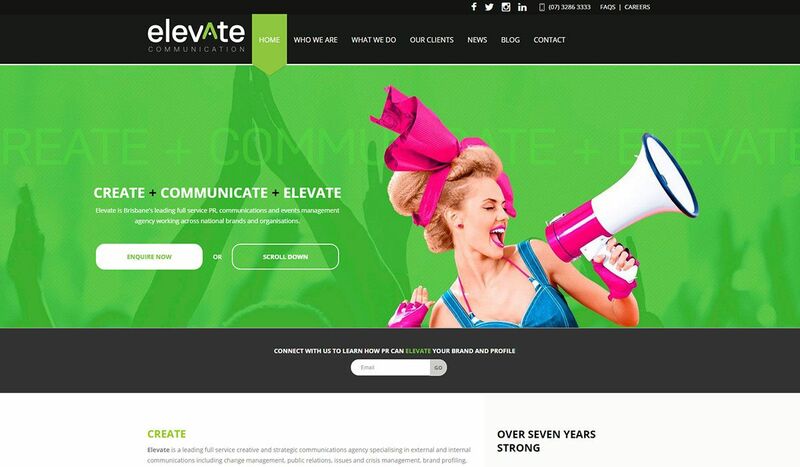 The Elevate Communication website has been strategically crafted to introduce potential clients to their services and team and then wow them with their impressive portfolio of clients and case studies. It also serves as a forum to promote their clients campaigns and events. The website was developed on a responsive framework and a bespoke CMS so that keeping content up to date is as easy as can be for any member of the Elevate team.